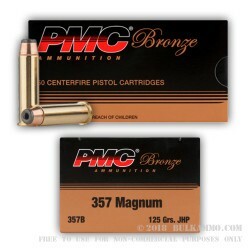 The PMC JHP .357 Magnum cartridges are designed from the ground up for self-defense, but they can be utilized for target shooting as well. 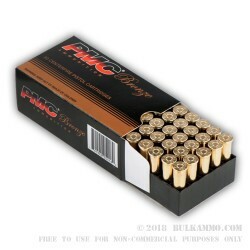 It is a well-known fact that every shooter and/or CCW permit holder should put in range time with the defensive ammo they plan to carry in their firearm, and these PMC JHP rounds are no exception. 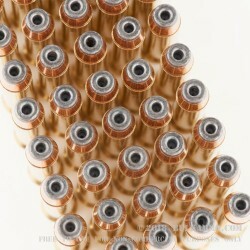 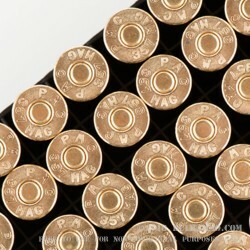 These cartridges are loaded up with the high performance 125 grain JHP, or Jacketed Hollow Point bullets. 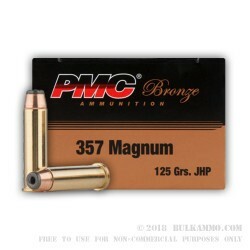 The JHP's have an impressively fast muzzle velocity of 1450-feet per second, and a hard-hitting muzzle energy of 584-foot pounds. 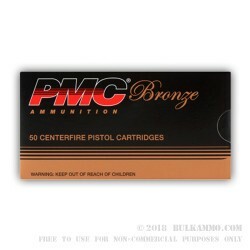 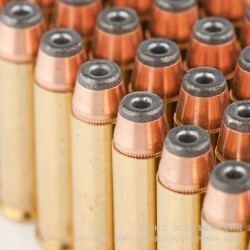 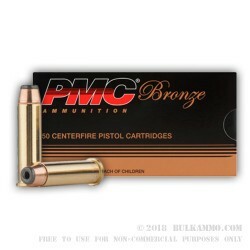 The high-quality PMC rounds are loaded into a thick, heavy-walled, new and reloadable, non-corrosive Boxer primed, brass cases. 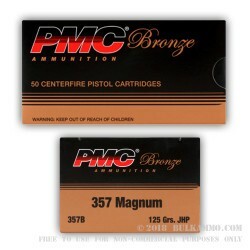 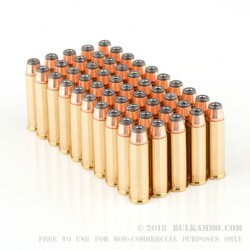 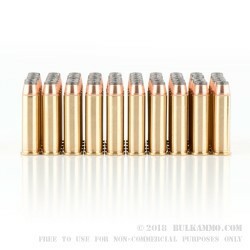 These .357 Magnum loadings come in 50 round boxes, so they are easy to transport whenever someone wants to take his firearms out for a day on the range, or take his family out for a bit of plinking fun. 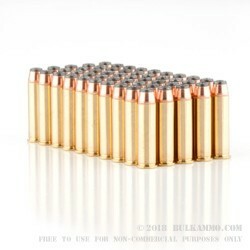 Get yourself a couple boxes today!